Staff and volunteers have attained a high degree of acceptance among key stakeholders by working in a manner consistent with the Fundamental Principles and other Movement policies. National Society staff and volunteers are often viewed as representatives of the organization for which they work and at times of the International Red Cross and Red Crescent Movement as a whole – whether on or off duty. Like all humanitarian workers, National Society staff and volunteers operating in a sensitive or insecure context can suffer from a real or perceived lack of independence, neutrality or impartiality by those who influence or control access to people and communities in need. This can endanger both them and their colleagues and hinder their efforts to provide assistance. The actions and measures contained in this section help the National Society and its staff and volunteers identify, manage and at times overcome the natural limits and possible challenges facing personnel deployed in sensitive and insecure contexts. This section includes guidance for National Societies on tailoring screening practices and the recruitment, training, management and placement of staff and volunteers in order to avoid compromising safety or access. Act respectfully, in conformity with all policies and guidelines (Code of Conduct, Integrity Policy, Security Guidelines) designed to help protect you, and use the Fundamental Principles to guide your thoughts, words, decisions and actions at all times. Think about how you might be perceived by each key stakeholder and gatekeeper who has influence over your safety and access. Know that the emblem will not always override or trump other identity factors you carry on you and that even when wearing the emblem you may be viewed with suspicion; therefore, identify the situations in which you may be at higher risk. Work with your National Society operations leaders to reassess and mitigate your exposure to risks and to identify actions that may increase your acceptance. Know that if you are from the affected community you will not necessarily be better accepted than others. Care for and support your fellow team members; keep an eye on their safety and well-being and always work as together in solidarity. Balancing the humanitarian imperative – to provide humanitarian assistance wherever and whenever it is needed – against the operational risks posed to staff and volunteers is a very common and complex challenge faced by many National Society leaders. Those experienced in guiding their organization’s response in sensitive and insecure contexts know that when taking operational decisions, the scales must tip in favour of the safety and security of their staff and volunteers, partly because they have a duty of care to them and partly because without them they would not be able to respond at all. In many countries the duty of care to one’s personnel is a legal requirement, and wherever you are it is a moral one, more so for a humanitarian organization. Failure to protect staff and volunteers adequately can leave a National Society open to legal action or liablity, not to mention pose a significant reputational risk. In part to fulfil this duty of care, National Society leaders must be vigilant about who they recruit, how they screen, recruit, prepare and train their personnel, and how they manage and support them in risky situations and afterwards. Thus, National Society leaders have a practical, ethical and legal obligation to create an environment, supported by appropriate policies, management systems, training and other support, for staff and volunteers to perform their duties safely. For their part, individuals who work or volunteer for a National Society must take personal responsibility for their words and actions as these may affect their own safety and that of their fellow team members. Overall, National Society personnel must adopt a sense of responsibility towards themselves, their team and the organization for which they work and realize that, particularly in a conflict environment, they are representatives of the International Red Cross and Red Crescent Movement at all times – even when off-duty! Their conduct, and the image they portray and impression they leave behind, will have a direct impact on the ability of the National Society and other Movement components to continue to reach beneficiaries safely. Perception is reality. In sensitive and insecure contexts, what matters is how others perceive you in terms of your personal integrity and conduct and your ability to use the Fundamental Principles of neutrality, impartiality and independence to guide your thoughts, words, decisions and actions. Those perceptions will lead to a certain level of acceptance and even support for your presence. Both the organization and the individuals working for it have a responsibility to ensure that each staff member and volunteer deployed in a sensitive and insecure context have the highest degree of preparedness and personal acceptance in the context concerned. Every National Society staff member or volunteer bears multiple identities, be they ethnic, social, economic, religious or political, in addition to the red cross or red crescent emblem. In peacetime, this may not be too significant. However, in contexts where tension and insecurity prevail, one or more of these additional identity factors may be linked to the causes of the tensions or conflict and therefore have implications for how key stakeholders, including community members, perceive you in terms of your neutrality, impartiality or independence. Depending on their perceptions both of you as an individual and of your organization, they may pose a threat to you or protect you; they may block your access or facilitate it. While you may feel and believe you are acting respectfully and in a culturally sensitive, neutral and impartial manner, at times it is not enough to convince key stakeholders. They may simply focus on your ethnic identity or your religious or political affiliations and have already made up their minds that you are not neutral despite your actions to the contrary. These are what we refer to as “natural” limits. Despite your efforts, some of your personal characteristics may prevent others from thinking of you as neutral and impartial. As you are from the affected area, you will most likely be atuned to where, when and by whom you may or may not be accepted. You need to have this “radar” turned on at all times and use it to monitor your level of personal acceptance, keeping in mind that wearing the emblem does not necessarily override all the other identity factors you bear. Knowing about the context and how others may perceive you is what matters. Looking at the world from their perspective will give you a better idea of how they perceive you and the National Society. On occasion staff and volunteers think they are on their own time and can say and do whatever they like – such as posting personal opinions about a situation on social media. This is a hotly debated subject among National Societies. However, the factor that should drive decisions in this area is whether or not what you say or do could possibly endanger lives. Even though you are off-duty, airing those opinions publicly can lead important stakeholders to believe that you are not independent, neutral or impartial, and this can affect the reputation of the entire National Society and the safety of you and your fellow team members. While I am working as an emergency response first aider, I watch what I say and do and make sure I act properly. However, at times I vented my frustrations about what I was seeing and experiencing while working for the RC on my social media site – and I am very well known in my country and have a lot of followers. I suddenly now realize that this is not appropriate – even on my off time – as, by voicing my personal opinions, I am affecting how others perceive me and their perception of the National Society as neutral and impartial. This does not mean you are not entitled to have personal opinions – of course you are. However, it does mean you need to be sure to leave them at the door when you are a Red Cross or Red Crescent staff member or volunteer. Everything you say and do must be respectful at all times, in line with cultural norms and practice and in conformity with the Fundamental Principles and other National Society and Movement policies. Otherwise, your and others’ safety and access will be compromised, particularly when working in insecure contexts. Each individual’s words and actions will be scrutinized by those controlling access to people and communities in need, which will influence – either positively or negatively – their team’s, their National Society’s and potentially the Movement’s ability to deliver services. All of this can create additional stress for National Society personnel. Moreover, they may be subject to tremendous personal, family and community pressure when working in sensitive and insecure contexts. They, both personally and as a member of that particular society, are exposed to human tragedy on a massive scale. 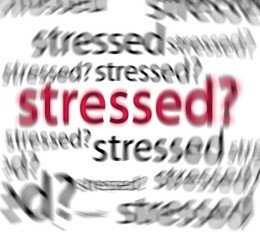 Stress of this kind can adversely affect one’s health and ability to judge situations objectively. This in turn can also lead to negative behaviour. Therefore, National Society personnel must have stress management skills benefiting not only themselves but also their fellow team members. A National Society must incorporate this reality into its training and preparatory measures and have stress management support systems in place for all staff and volunteers. Just as your words and behaviour contribute to the National Society’s reputation, its overall reputation affects how others perceive you as an individual. Be mindful of exactly how your National Society might be perceived by the stakeholders controlling your access and safety (see Acceptance of the Organization) as it has implications for your personal safety and access. To fulfil their duty of care, National Society leaders must ensure all staff and volunteers are carefully screened, recruited, trained, placed, supported and managed. Support should include stress management systems so that staff and volunteers are able to diffuse unhealthy levels of stress themselves, which in turn will improve their well-being, judgement and performance. They must be trained and supported to conduct themselves in conformity with proven practices and rules of behaviour, such as those contained in the National Society’s code of conduct, security guidelines and standard operating procedures. They also need to live and breathe the Fundamental Principles and adhere to other Movement policies and guidance consistently in all their actions. Do we really know who we are hiring? Do they know the organization and can they align with its mandate, principles and values? Are our staff and volunteers fully aware of what it is we are asking them to do and in what type of environment? Did we brief them thoroughly on the context and nature of the risks they will face and what the National Society is doing to mitigate those risks? Have we invested in appropriate and useful training and equipment required for them to assess risks and to work safely in sensitive and insecure contexts? Are they identified in a manner that will contribute to their safety and security and have we broadly communicated their visual identity to key stakeholders and the community at large? Have we invested in networking and intensifying broad operational communication discussions with key stakeholders about our National Society’s mandate, activities and way of working in accordance with the Fundamental Principles in order to expand our acceptance? Have we obtained adequate life, health and accident insurance for staff and volunteers and informed them accordingly? Do we have a robust operational security risk management system in place run by competent and experienced people? Do we have mechanisms in place to support them and their families in mitigating and managing the stress they may face? Care is taken to screen and select all personnel and to take affirmative action to ensure that the composition of the staff and volunteer base (including governance members) reflects the diversity of the communities that they serve and that those concerned do not have strong political affiliations or connections with any armed groups and are able to operate at all times in accordance with the Fundamental Principles, code of conduct and other Movement policies, thus increasing acceptance and security for themselves and for the National Society among stakeholders and the communities that they serve. Screening and recruitment mechanisms for both staff and volunteers must focus, in addition to regular recruitment practices and criteria, on the individual’s understanding of and ability to apply the Movement’s Fundamental Principles when taking decisions and in their actions, to be perceived as neutral, impartial and independent and to adhere to the organization’s code of conduct. Each applicant for a staff or volunteer position must be viewed as a representative of the National Society and must be able and willing to think and act in an impartial, neutral and independent manner and be perceived by important stakeholders to be doing so. Their beliefs and their informal or formal affiliations with a particular political, religious, ethnic, social or other group must not be viewed by others as controversial. The implications of these characteristics must be thought through in terms of their links to the causes of the tensions or violence in a given context. At times these affiliations may be perceived positively and help to build trust and relationships with certain stakeholders, while at other times they can become a risk and a barrier to access. It is essential that the National Society’s staff and volunteer composition is diverse and representative of the community in order for it to be perceived as embodying the principle of impartiality and to allow it the flexibility to create its response teams in such a way as to ensure each individual will contribute to the overall acceptance of the team and of the National Society itself. Provide a few guiding questions to all candidates, in advance of their recruitment interview, to aid them in self-screening their suitability to work or volunteer for the National Society. Include questions related to their ability to represent the organization and to apply the Fundamental Principles. Inform applicants during their interviews that their personal alliances (particularly strong and visible alliances, whether they be political, religious, ethnic or others associated with the root causes of the tensions/conflict) could have serious consequences not only for their safety but also for that of their fellow team members. Use scenarios realistic to your context as an interview tool to guide applicants’ in self-screening and reveal if they have any concerns about their ability to be perceived by the main stakeholders as a credible neutral, impartial and independent Red Cross or Red Crescent staff member or volunteer. You are encouraged to apply this to existing staff and volunteers as well, if they were hired before the current situation developed. Ensure that the diverse composition and careful placement of your response team is informed by the results of a solid and current context analysis. Be aware of the various identities and affiliations of each of your staff members and volunteers, particularly those who could be perceived as compromising their acceptance. This will be essential knowledge to guide decisions on team composition to ensure the highest degree of acceptance and therefore security and access in any given situation. Ensure applicants understand that how you perceive yourself in terms of personal acceptance matters little in comparison with how others with influence or control over your safety and access view you. Ensure a wide diversity within your staff and volunteer base to facilitate the composition of the team in a way that heightens their acceptance by the key stakeholders and gatekeepers in any given situation. When we say we are “open to all” does that mean we accept people with strong active political or other affiliations? How might this be perceived by others, including the State? How might it influence our overall acceptance, security or access? Would we be able to gain access to a community safely if one of our team members or leaders is known to be strongly connected with one side or the other? If our National Society is composed primarily of one ethnic or social group, how could that affect our acceptance by and access to other communities and groups? What would we do if a team member is not viewed as impartial, neutral or trustworthy? How would we work with that person and the community or others in solving the issue? How do we verify that applicants to our organization espouse the Fundamental Principles and can commit to live by them? The Fundamental Principles bind the International Red Cross and Red Crescent Movement components together. Most staff and volunteers have them committed to memory and proudly recite them on demand. However, Movement leaders must endeavour to ensure the Principles do not remain just a poster on the wall but are used as a practical tool to guide the thoughts, words, decisions and actions of every person associated with the Movement. Adherence to the Fundamental Principles at all times by all National Society staff and volunteers is critical for their own acceptance, security and access, as well as that of their fellow team members, the organization and Movement as a whole. Independence is essential. If we are not independent, we are no different from any other charitable organization or from the government itself. The reason why the Red Cross and Red Crescent Movement was created was to have that very special independent and unique way of working. In Afghanistan, if we compromise our independence, we are finished. Fatima Gailani, President, Afghan Red Crescent Society, Safer Access in Action Case Study, Afghanistan. The International Federation of Red Cross and Red Crescent Society’s Integrity Policy is another key tool that provides important information and guidance to National Societies on how to prevent, manage and resolve integrity issues, which in turn contributes to preserving the quality of the National Society’s efficient use of resources, its accountability and good reputation. It is highly recommended that a National Society either adopt the International Federation’s Integrity Policy or uses it as inspiration to create one for itself that takes into account the prevention and management of specific issues affecting the National Society. The Code of Conduct for the Red Cross and Red Crescent Movement and NGOs in Disaster Relief should be adhered to in its own right and can be used as a model to develop a context-specific standard of behaviour. The Code of Conduct has proven to be an essential tool to govern the personal conduct of staff and volunteers of all National Societies working in sensitive and insecure contexts. Every staff member and volunteer should receive training in how to use the Fundamental Principles as a tool to guide communication, decision-making and action, in how to abide by the National Society’s code of conduct and in how to abide by key Movement/National Society policies and regulations (see also sections 2.6 and 4.3). They should understand the seriousness of non-compliance with these policies and regulations for their own and their organization’s acceptance, security and access. Ensure volunteers and staff understand that the Fundamental Principles are more than a poster on the wall to be memorized, and when used to guide communication, decisions and actions, they become the most useful tool in the box in terms of increasing their acceptance, security and access. Incorporate the application of the Fundamental Principles into simulated training in all National Society programmes to ensure their use becomes a skilled reflex and their operational relevance and importance are understood by all. Adopt the International Federation’s Integrity Policy or use it as inspiration to develop one of your own; ensure it is known and compliance mechanisms are in place. Develop a National Society context-specific code of conduct for all personnel and ensure they understand it and sign it. Be prepared to modify or include a context-specific addendum to the code of conduct when the context changes, posing new and specific challenges that will need to be addressed; ensure it is known and compliance mechanisms are in place. Do we have a context-specific code of conduct that includes a section on applying the Fundamental Principles in practice? Do we orient/train all personnel in it? Do we have monitoring and compliance mechanisms in place? Has the Integrity Policy been adapted for application in our own context? Does our code of conduct integrate some relevant parts of the policy? Do we monitor compliance and address inconsistencies to ensure adherence? Do we have an organizational culture that values and enforces respectful behaviour towards others, internally and externally, whoever they may be? Do our policies and programmes incorporate aspects of the code of conduct, integrity policy and application of the Fundamental Principles where appropriate? Do we ensure that all induction workshops and all staff and volunteer training incorporate practical scenarios and other mechanisms to reinforce the consistent use of the Fundamental Principles to guide thoughts, words, decisions and actions, thereby reinforcing a skilled reflex to do so at all times? Are emergency response team leaders and volunteers adept at applying the Fundamental Principles, code of conduct and integrity policy? Are they clear on what this means for their behaviour? Staff and volunteers are given adequate training, mentoring, guidance and protection in preparation for the challenges of working in sensitive and insecure contexts, including armed conflict and internal disturbances and tensions; aspects addressed include personal preparedness, how to use the Fundamental Principles as an operational tool to guide communication, decisions and actions, context/conflict-sensitive programming practices, safety and security measures, emergency first aid, the management of human remains (as necessary), psycho-social support and stress management, protective legal and administrative support, including the code of conduct and insurance, operational communication and the use of the emblem/logo. Working in sensitive and insecure contexts including armed conflict and internal disturbances and tensions requires additional and specialized training and mentoring. Staff and volunteers need the right preparation, tools, training and mentoring to cope with the challenges they may face in such contexts. They must have the skills and knowledge to make the right decisions, take the right actions and say the right things. They must be able to analyse, manage and negotiate through a sensitive situation, such as a checkpoint. These can be matters of life or death. Rigorous training supported by near-to-life simulation exercises will help workers recognize their strengths and limits and how these can affect their own and others’ ability to access beneficiaries safely. You may identify other training and preparedness measures required to suit your specific context. The training should complement and be targeted to support the structures and organization of your emergency response team system. For instance, team leaders may need additional ‘How to lead a team’ training and be adequately prepared to lead their team members in a particular situation. Certain team members may have specific roles for which they may need additional training. Do we have sufficient context-specific training and mentoring systems in place to adequately guide and protect our personnel? How can we adapt training to meet the emerging challenges in an evolving context? Are we conducting lessons learned exercises routinely and using the findings to influence our systems, processes and training? Are our most experienced response personnel involved in mentoring new personnel? Do we have a formal mentoring system in place? Staff and volunteers understand their individual responsibility to assess their own acceptance level within the operational environment; if they have concerns about their security or their ability to access the people or communities, they will take or suggest appropriate action in coordination with the relevant department at the National Society. National Society personnel are part of the fabric of their civil society. Everyone has informal familial, social, political, ethnic, religious or other associations – while some have very formal linkages – which, in peacetime, may not appear to negatively affect their ability to perform their duties in a neutral, impartial and independent manner. However, they often do become problematic when the situation heats up. Depending on the underlying causes of the tensions or violence in a given context, one or more of these associations could impact on an individual’s acceptance and consequently also that of his or her colleagues. Even if they themselves act and feel independent, neutral and impartial, they may not be perceived as such by some stakeholders. The result may be restricted access to certain beneficiaries or threats to their personal safety. Contrary to the belief of many volunteers, displaying the emblem may not sway/alter these perceptions. Should a Red Cross or Red Crescent staff member or volunteer continue to demonstrate the Fundamental Principles even when not on duty? This is an oft-debated issue within National Society circles. However, National Societies experienced in responding in sensitive and insecure contexts, where your neutral and impartial reputation is everything, agree that in these situations all staff and volunteers must live the Fundamental Principles at all times – even on social media. We often associate a person with his or her religious beliefs, political views, work, hobbies, etc. All our opinions and actions can be interpreted as the opinions and actions of the organization we represent – particularly if they can be perceived to be partial in that particular sensitive or insecure context. Therefore care must be taken at all times to ensure that the same standards of personal and professional integrity and adherence to the Fundamental Principles apply both in one’s professional and one’s private life. How do I, as an individual, really feel about providing assistance to these persons or this community? Will my personal experiences and resulting feelings affect my thoughts, judgement, words or actions in a manner inconsistent with the Fundamental Principles? What are the implications if I say or do this? How will my words or actions be perceived by a particular group? Will my words or actions affect my or my fellow team members’ ability to safely access people and communities in need? Do I espouse certain beliefs or have political, religious or other associations that, if known, might compromise my safety or that of my colleagues in a particular context? Do my personal experiences mean that I understand more fully the experiences of one group more than others? Do I need to take action to understand better the needs of groups I know less well? Am I able to control my feelings and not allow them to influence negatively my ability to act impartially and neutrally? How will those I am helping perceive my involvement? How will the armed actors and other stakeholders perceive me? Will I be at risk or put others at risk? Are there actions that either I or my National Society can take that may support me not only to act in a neutral and impartial manner but also to be perceived as doing so? Working conditions, systems and procedures for staff and volunteers have been established to ensure that they benefit from good support, guidance, protection, remuneration and management during response activities. A supportive environment underpinned by solid systems and procedures whereby staff and volunteers benefit from good guidance, protection, remuneration and management will reinforce their ability and desire to concentrate on their work in the way they have been trained and help reduce the stress that is an inevitable part of the job. National Society leaders have an inherent responsibility to support and protect their staff and volunteers by creating appropriate policy frameworks, guidelines and management systems. In times of turmoil and disorder these tools and procedures can enhance the effectiveness of humanitarian action and allow personnel to focus on the task at hand. Ensure national emergency preparedness and response management structure and systems include factors such as specific standard operating procedures intended to guide a response in sensitive and insecure contexts. Ensure experienced and capable leadership personnel are in place during a response in challenging and insecure contexts. Schedule systems to ensure that staff and volunteers limit their working hours to acceptable levels and that they are getting enough food and sleep, especially in the early days of an intensive response. Have strong human resource and volunteer management systems in place. Have systems in place to ensure adequate, timely and fair compensation and acknowledgement for their time and commitment. Inquire after the well-being of your staff and volunteers’ families: Are they safe and well? Have their living conditions been adversely affected? Have a plan in place to help affected personnel and their families to cope. Provide staff and volunteers with adequate equipment, protective gear and communication devices to do their work safely. Assess and analyse each situation in a timely manner, in order to identify any potential pitfalls and context-specific requirements. Do we have well-managed human resource and volunteer systems in place that address the needs of both staff and volunteers and that ensure adequate working conditions in challenging and insecure situations? Are our staff and volunteers being adequately and fairly compensated in a timely manner? Do we have a system in place to screen and take on spontaneous volunteers during an emergency? Do we have efficient operational management systems and structures that include security risk management? Are our personnel adequately equipped to do their jobs safely? Do we have systems in place to respond rapidly to any emerging challenges and needs experienced by our personnel? Systems have been established to monitor and address compliance with policies, guidelines, standard operating procedures and practice. Monitoring mechanisms should be in place to ensure consistent compliance with the Fundamental Principles, Code of Conduct, Security Guidelines, Integrity Guidelines and other Movement/National Society policies and regulations, such as standard operating procedures, in order to pre-empt and manage issues as they arise. Having policies and guidelines in place is an important first step. However, they must be applied consistently. The challenge for management is to translate these documents into practical tools and guides for staff and volunteers so that they understand clearly what is expected of them. Management should then develop the systems and mechanisms required to apply them and to monitor compliance. In developing policies and guidelines, it is important to use a “bottom-up” approach. This involves, among other things, ensuring that responding staff and volunteers have undergone training that incorporates the practical adaptation of these documents so that they understand fully what behaviour and standards are expected of them. This will instil in them a sense of responsibility for their actions and words. It could also involve skills training and the distribution of pocket guides and other material to support compliance. Team leaders and direct line managers would receive a higher level of training in the policies and guidelines and be involved in establishing awareness tools aimed at preventing problems at the field level, helping personnel to understand and apply them, and developing appropriate monitoring and compliance systems. Are we, including response team leaders, knowledgeable and trained in the key policies, guidelines and standard operating procedures? Are we aware of the behaviour expected from all staff and volunteers, and can we recognize a problematic behaviour in order to address immediately any that might lead to security incidents or hinder action? Do we have a monitoring tool, such as standard operating procedures or a specifically developed tool that highlights the behaviours we want or do not want to see in our staff and volunteers (Dos and Don’ts)? Do we have visual material posted and pocket guides available for staff and volunteers to remind them of the practical application of our code of conduct, the Fundamental Principles and our integrity policy? Do we have a reporting system in place should personnel spot a problematic behaviour which they feel needs the attention of management? What happens when we spot a problematic behaviour? How is the learning captured and shared with others in a way that doesn’t name and shame? Staff and volunteers have access to a stress management/psychosocial support system. When working in insecure contexts, National Society personnel often come under tremendous personal, family and community pressure. Stress of this kind can negatively affect their mental and physical health and their ability to remain objective and impartial. A National Society needs to take this into account when establishing stress management support systems and in the training of staff and volunteers. National Society staff and volunteers may naturally experience strong emotional reactions such as denial, suspicion, fear and panic to events that affect them or their loved ones, neighbours, community or country at large. This may impact on how neutral and impartial they are able to be in performing their duties. These reactions may cloud their perceptions and make it difficult not to allow opinions, attitudes or loyalties to affect their behaviour. These challenges are normal and to be expected in such situations. They must, however, be recognized by both the individual and the organization as a possible threat not only to their well-being but to their safety and access and those of the team and the National Society. They must therefore be managed accordingly. 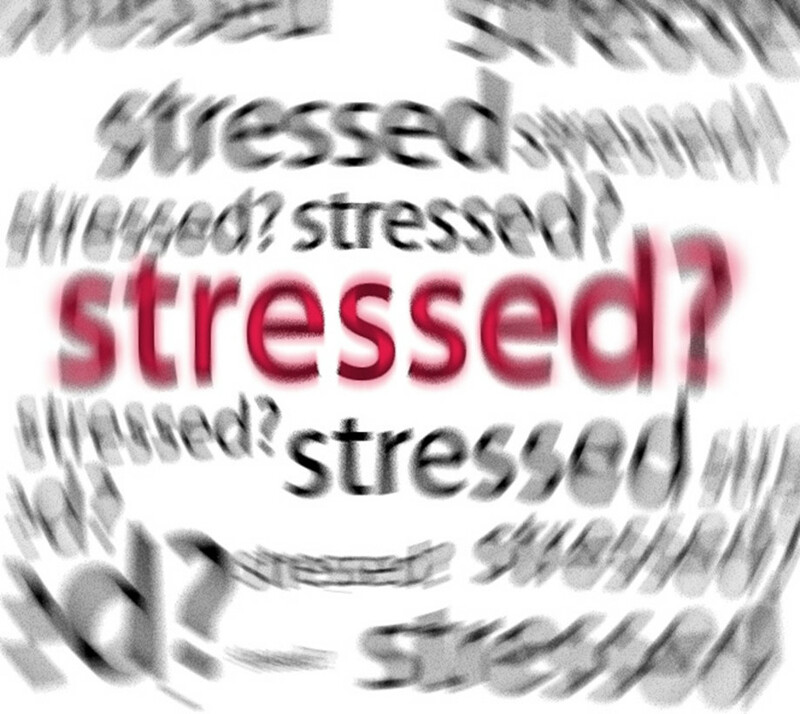 The National Society could consider creating a management culture of stress reduction. Policies and procedures should reinforce good people management practices. The importance of peer-to-peer support as a stress management approach cannot be underestimated. A very effective coping mechanism is support from fellow team members who have shared experiences. Often individuals feel more comfortable talking to each other than to a stranger who is part of an imported support system or from headquarters. That is why team building and a sense of solidarity are crucial, while a minimum level of training to be able to spot signs and symptoms in each other is also valuable. Care should be taken that team members are not overburdened with each other’s stressful situations when they have their own. Knowing when to trigger the institutional support mechanism is required when someone appears to have difficulty coping and may be surpassing his or her own coping threshold. These additional mechanisms are intended to address an escalation in personnel stress during an intense response to crisis. This could entail the deployment of a specifically trained unit to provide collective debriefings and one-on-one counselling as required. The composition of such a team – whether it is internal or outsourced – is. Ultimately those deployed must be able to quickly understand and empathize with staff and volunteers and generate the respect, trust and acceptance of those they have been deployed to assist. Rigourous training should be in place to ensure staff and volunteers can recognize their limits and are aware of how these factors can serioiusly affect their individual and collective ability to maintain safer access to beneficiaries. The training should include methods of recognizing and coping with these personal challenges and limits and should not make individuals feel inadequate. Additionally, institutional monitoring systems need to be in place to spot individuals who may be affected and to provide them with the necessary support. In the tools and template section, you will find tools on how to prevent and spot cumulative stress among your staff and volunteers. Are we aware of how events are impacting each of our staff members and volunteers, including their families? How do we support our staff and volunteers in managing their stress levels so that they are better equipped to look after themselves and those around them and thus avoid unfortunate incidents that could compromise their safety and that of their fellow team members? What systems are in place to prevent too much stress and to ensure our staff and volunteers maintain a healthy work-life balance and do not work excessive hours without sleeping or eating? Do we give our personnel time off to ensure their families are safe and other support when needed? Is our leadership well trained in spotting the signs of cumulative or post-traumatic stress? Is there a peer-support system within our response teams and have they been trained in stress management and how to support each other? Do we have a clear and well-defined escalation protocol in place to ensure someone who is suffering from too much stress receives the support he/she needs from the organization? Staff and volunteers know how to monitor their own level of stress and those of their team members and are able to maintain a healthy lifestyle in difficult situations; they also know how to access the National Society’s stress management/psychosocial support system. What does stress management have to do with safer access? If frontline volunteers or staff members are physically or emotionally affected by the atrocities they are exposed to or because their families have been affected, they may have difficulty managing their stress levels, which can be damaging to their mental and physical health. Being too tired or not eating or sleeping properly can easily result in anger or frustration. Having little or no control over feelings can lead to inappropriate behaviour and an increase in poor judgement and increased risk-taking. Self-awareness is knowing one’s own stress triggers and symptoms and taking appropriate action, including seeking help or support (see 4.7), before the situation gets out of hand. All staff and volunteers should be trained in the signs and symptoms of stress and look out for themselves and their colleagues. It is also advisable to carry out regular self-assessments of emotional well-being in order to prevent and resolve psychological problems. Knowing the signs and symptoms, knowing they are normal and being aware that there is a stress management system in place and where to go for advice or counselling is reassuring in itself. Do I know what raises my stress levels and the signs and symptoms when this happens? Do I know the difference between healthy and unhealthy stress and their respective signs and symptoms so I know what to watch for in myself and my colleagues? Do I have particular coping mechanisms established to help reduce the stress and am I able to enforce them even in highly stressful situations where I may have difficulty taking a break while there are still people with needs I want to serve? How do I cope when exposed to a traumatic situation? What steps do I have in place that will ensure I do not push myself too far and expose myself to emotional harm? Do my colleagues look out for each other and provide solid peer support to help me cope through rough times? Does my National Society have management systems and professional resources in place to monitor and support me in order to avoid cumulative stress?